Rising cleanliness requirements for components in the automotive industry require innovative cleaning technologies. 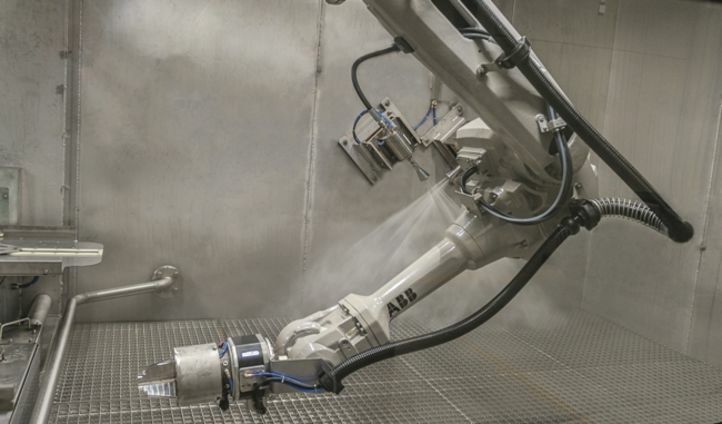 The LTH Castings d.o.o in Slovenia invested in the High Pressure Deburring Plant Geyser with integrated robotic system from BvL Oberflächentechnik GmbH in Germany for the cleaning of gear parts for a major German automobile manufacturer. The Geyser removes chips, burrs and even strongly adhering impurities reliably with a high pressure water jet through rotating multiple nozzles or single lances. 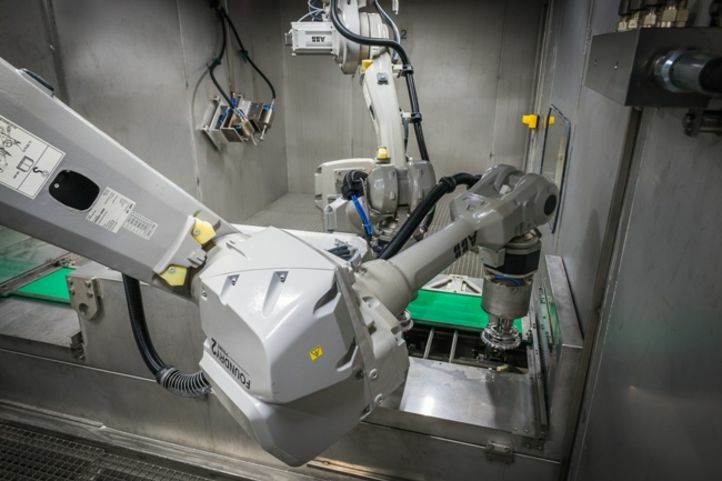 Splash proof robots ensure the efficient and safe component handling. The robotic technology allows maximum flexibility and range of motion, retrofitting of changing machining sequences and new geometries. The process of the system is environmentally friendly and is specially designed for components with complex geometries, small holes or hard to reach undercuts. As a result, the Geyser is particularly suitable for workpieces that have to meet the highest standards of safety and cleanliness. Thanks to short cycle times, the system is very efficient and suitable for mass production of medium and large quantities. The deburring is carried out with a high pressure water jet of rotating multiple nozzles or single lances that are directed specifically at the critical areas of the component. Due to the high kinetic energy, the burr deforms and thereby breaks and loosens from the component. Thus chips, burrs and other impurities, even on hard to reach deburring sections, e.g. deep or small holes, blind holes and undercuts can be removed easily and safely. While the component is deburred, the empty workpiece holders run through a washing unit, which is integrated in the high pressure system. The deburred component is positioned on the cleaned workpiece holder and renewed contamination by residues is avoided. Due to the compact design in container form, the high-pressure deburring system can be optimally integrated into the process chain of parts cleaning. 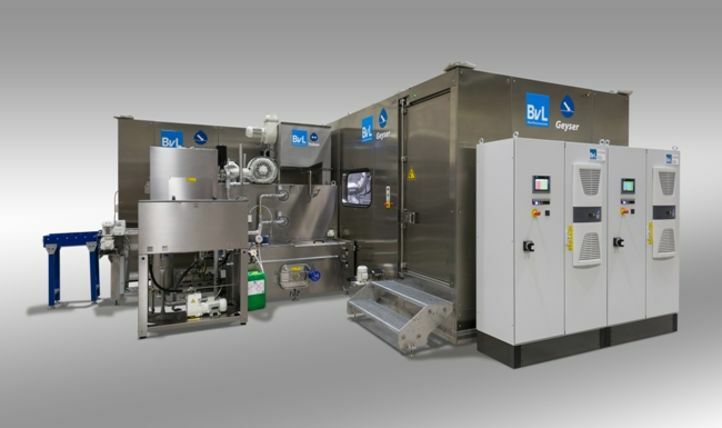 For this BvL provides all necessary equipment from one source: from the pre-cleaning and deburring to the fine detail cleaning to drying and cooling. The machines made of stainless steel are perfectly matched and can be customized. Thus, the high pressure deburring system from LTH Castings was combined with a pre-cleaning and final fine cleaning.